If you are considering moving to the Phoenix area, even as a part-time winter visitor, you'll be wondering about the cost of electricity and other utilities. After all, it's awfully hot for several months of the year. People may wonder if cooling your home is more costly than heating it through a northeast winter. The enormous number of variables associated with utility costs make generalizing impossible. Even if you were to have the exact square footage in your home as someone else in the area does, your bills may not be comparable. Be aware, though, that just some of the variables that come into play include how your home is constructed and who lives there. 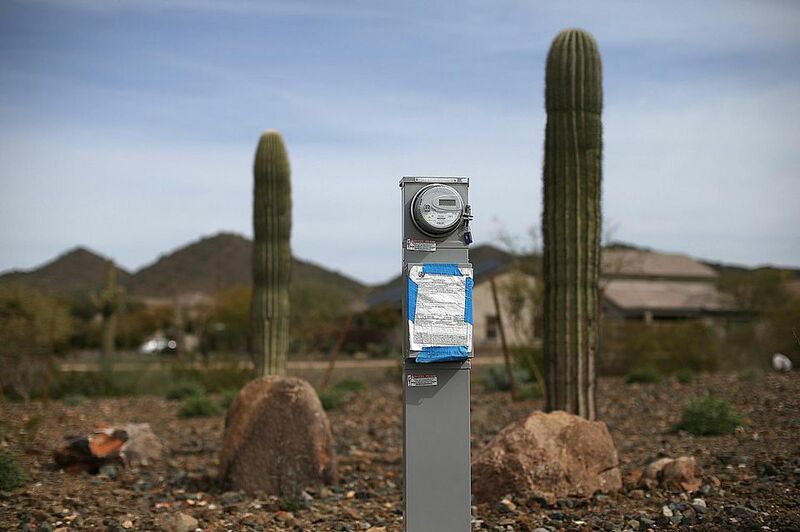 Now that you see how difficult it is to estimate what someone's electric bills will be when they move to the greater Phoenix area, if you still want just a ballpark figure, just a number that you know won't represent reality but will give you some basis for reference have a look at the information provided by the Salt River Project, one of our major energy providers in the area. They have a tool that you can use to find out what some of the average electric bills are for different styles of living. It is called the Home Energy Manager. Here you can enter data about the home and the way you use energy, and get an average estimated annual cost. They also have information on solar power for your home which is becoming very popular in the valley. The word 'utility' means different things to different people. Make sure that you obtain a clear understanding of what services are included in the rent and which are not. Typically, the services you should ask about are the electric bill, gas or propane bill, water/sewer bill, and trash pickup. Depending on which company you have as your electricity provider, you may be able to avail yourself of some programs that help manage your utility bills. Time of Use or Time Advantage Programs allow people who can switch much their electricity usage to non-peak hours to save money and energy. Equalizer plans allow people who have established a pattern of energy consumption to equalize their payments of the year so there aren't so many high bills in the summertime, making it easier to budget monthly expenses. Some people like having gas at their homes for heating, cooking, the water heater, the fireplace, and even the barbecue. Some people would rather have an all-electric home. Energy experts will say that, generally, there is no appreciable difference in cost between an all-electric home and a dual energy home when you include service charges and other miscellaneous charges. It's just a matter of preference. Energy costs are so high that in the summer homeowners need to do all they can to save. And in Arizona, they have lots of Summer. Here are some of the simplest things you can do to reduce heat-producing activities in your home or apartment during the summer. There's no investment involved, no construction, no appliances to buy. Just common sense. Don't use the oven. Use a microwave oven or use a barbecue grill. Use a slow cooker to prepare one-dish meals without adding heat to the house. Put lids on pans to hold the heat in while cooking. Most hot water heaters have thermostats that may be set to 140 degrees for hot water. This usually isn't necessary—turn the thermostat down to 120 or 115. You've probably heard that taking a bath uses less water than a shower. That may be true, but if you take a short shower, say about 5 minutes, you'll only be using one-third of the amount of hot water than you would with a bath. Don't use the drying function in your dishwasher. Let the dishes air-dry. Wash only full loads of dishes and clothes. Dry your clothes on hangars or outside. Try to do any ironing at one time to prevent having to heat the iron several times. Do "wet" chores in the early morning or at night when it's cooler. This will help to keep humidity down. This includes washing clothes or dishes, mopping floors, watering indoor plants, etc. Turn off computers, printers, copiers, and home electronics when they are not in use. Surge protectors that allow you to plug several items into one strip with an on/off switch make this even easier.